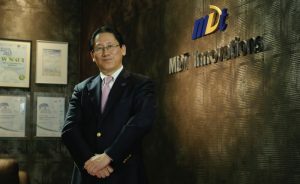 Future Market Insights has announced the addition of the “Cytomegalovirus Treatment Market: Improvement in Efficacy of Combinational Antiviral Therapy and Growing Awareness Regarding Cytomegalovirus Infections Expected to Enhance Revenue Growth: Global Industry Analysis 2013 – 2017 and Opportunity Assessment 2018 – 2028″ report to their offering. 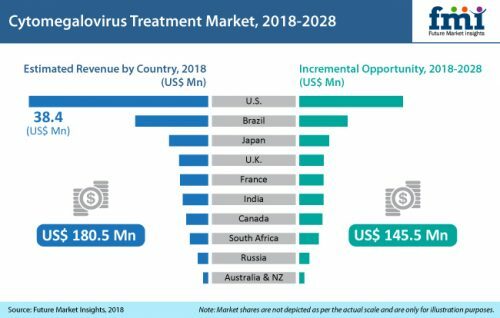 The cytomegalovirus treatment market is poised to grow at an impressive y-o-y of over 5.5% in 2019, as per the latest research study published by FMI. A cohort of macro factors, including rapid adoption of innovative treatment procedures and burgeoning investments in healthcare, are auguring well for the wide-spread adoption of cytomegalovirus treatment. These insights are per the latest FMI research study that conveys a healthy outlook for global cytomegalovirus market in 2019 and beyond. “The drug development framework for treatment of cytomegalovirus continues to be progressive, offering ample scope for development of new products and procedures. There are multiple clinical trials being performed for cytomegalovirus treatment worldwide, led by prominent regions including Europe and North America. The late-stage pipeline comprises exceptional drugs which are envisioned to enter the market. This, in turn, is likely to create favorable scenario for cytomegalovirus treatment market over the forecast period”, says FMI report. As per the report, high cost of cytomegalovirus treatment procedures remains a key factor hampering adoption and deterring market’s growth potential. Along with high prices, associated side effects of cytomegalovirus treatment products and procedures are denting end-user confidence. Some of the prevalent side effects associated with cytomegalovirus treatment products and procedures include neutropenia, nausea, thrombocytopenia, hematological toxicity, renal dysfunction, and so on.